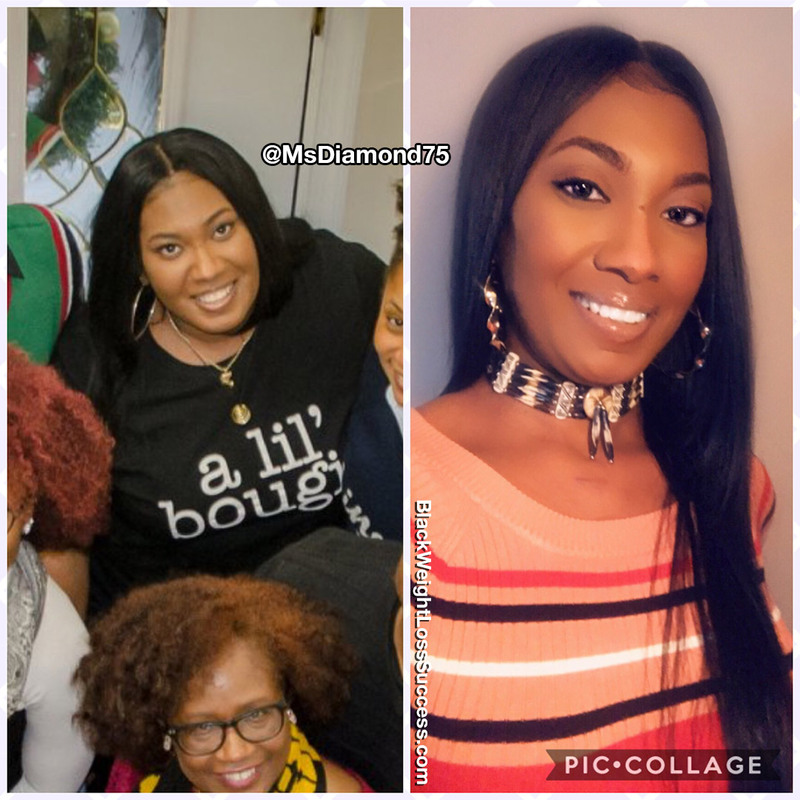 Tranformation of the Day: Alonda lost 84 pounds. The grief and depression she experienced after her husband and her mother passed away led to weight gain. When she realized that her mental and physical health was at risk, she decided that is was time for change. Check out how she took action. I had several motivating factors. Both my mental and physical health were in jeopardy. Before my weight gain, I experienced two significant losses within my family, with the deaths of my husband in 2011 and my mother in 2013. Along with my grief came severe depression, and subsequently, the weight gain. I reached a crossroads in December of 2016, where I had to make a decision to turn my life around. First, I had to make some changes in my personal life to have the capacity to begin healing from within…Spiritually. This started the whole movement. Also, I’m not naturally a heavyset person, so for me to have gained so much weight due to depression became strenuous on my heart. My blood pressure had become an issue and everything that seems to follow that was happening. It was life or death at that point. I knew that once I made my mind up to make things right, there was no giving up. Plus, my daughters were watching. I win for them and for me. I began to make better choices as far as what I ate, how much I ate and when. I didn’t really cut out anything, I just cut back on the things that I thought I couldn’t live without; bread, potatoes, rice, pasta, cake, cheese, salt, sugar, soda, candy, etc. I ate more raw foods, like salad, fruit, veggies. I also drank more water. I stopped eating at night. If I would eat late, it was only raw snacks (fruit or veggies). I lost a lot of weight just eating better and working out (50+ lbs). When I reached a plateau, I tried a vitamin supplement along with my new habits which helped me lose more. I usually do spin classes on Wednesday nights. Whenever I had free time during the week, I would either do more cardio in the gym or distance walking outdoors (6.5 miles at a time). I’ve recently begun weight training to rebuild and define my muscle. 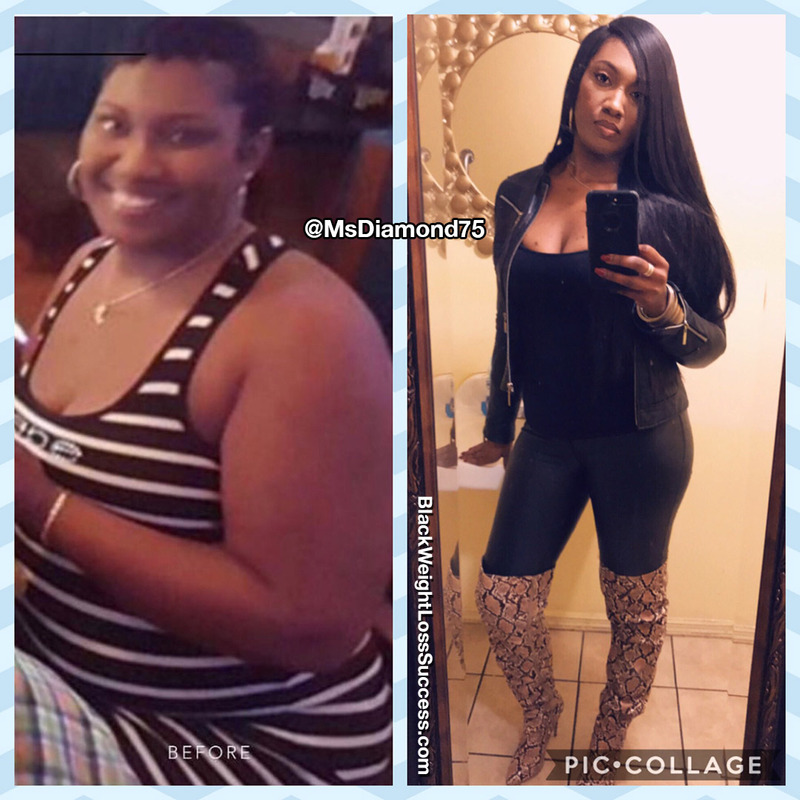 My starting weight (my unhealthiest weight) was 254 pounds. I currently weigh 170 pounds. I’m 5’8.5″. The biggest lesson I’ve learned is that to heal my body, I had to first do the work to heal my spirit. It’s a process, and it has to be done in order. I tried it the other way around, several times, and failed. Once I began changing the energy within me and around me, my body followed. No two people are the same, so don’t discourage yourself by comparing your progress to anyone else’s. Only focus on what means the most to you as an individual. Fight for you and your health. Never lose sight of the reason why you started your journey. If you keep that in your heart and mind, you’ll find it almost impossible to give up. You will thank yourself in the end.